There are also examples in Latin. 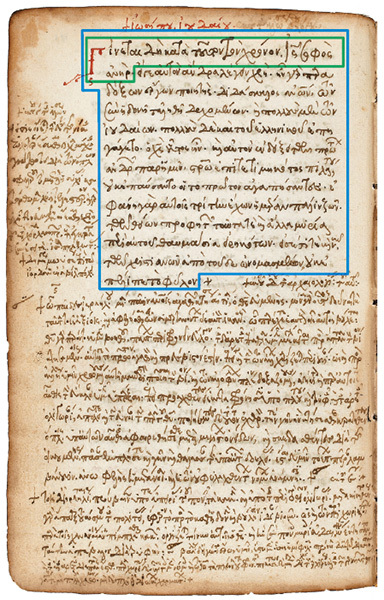 For instance, there is a mention of “extracts from Josephus and other Greek and Latin authors (Gwysaney MSS. 46, 47, 53)” in an early modern collection. 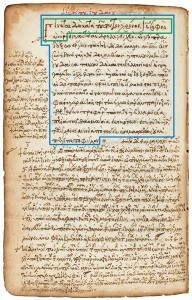 This BAR article used an image of Codex Parisinus gr. 2075 (one of the very many such “miscellaneous” manuscripts described by Pearse) to illustrate the Testimonium Flavianum, which it quotes. The quotation found here, like the previous abridgment in the Letter from Pilate to Herod, regards the death of a Herod found in the New Testament, this time the death of Herod the Great. These extracts are not useful merely on their own, as possible witnesses to the original state of the text. Knowledge of these extracts, specifically and in general, also help us to figure out what options there are for the likely source of quotations from Josephus found in other texts. It is possible, for example, that the quote from the chronicler or the apocryphon above is not only mediated from Josephus by Eusebius but also mediated from Eusebius by way of a collection of excerpts. Such texts were convenient, economical, and ubiquitous, particularly in use in preparing other historical works. 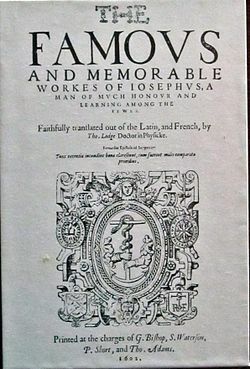 Often they were made by the author for the purpose of their own use, but they also were often shared, published, and used by other authors who quoted someone such as Josephus from extracts.